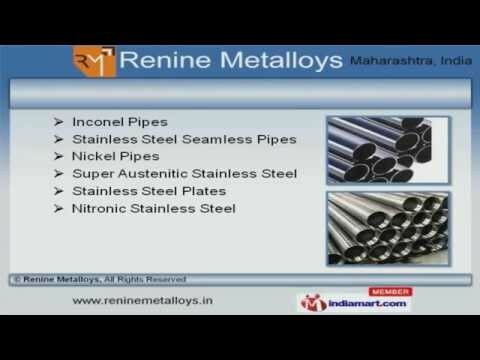 Welcome to Renine Metalloys, Manufacturer and Exporter of Ferrous and Non Ferrous Products. We are an ISO 9001:2008 certified company, established in 2008 at Mumbai. We have spread our wings to China, Taiwan, Hong Kong and other countries. Large production capacity, customized solutions and convenient payment options make us the first choice of our clients. We offer a wide array of Monel, Titanium and Nickel Products. Our Stainless Steel Plates, Inconel and Nickel Pipes are in huge demand across the global markets. We offer Steel, Round and Metal Bars that are best in the industry amongst others. Alloy Fittings, Industrial Fasteners and Industrial Alloys offered by us are appreciated amongst our clients for superior quality. Along with that we offer Nickel Tubes, Metal Sheets and Scraps that are available at industry leading prices. We also provide Stainless Steel Wires and Short Bends that are nothing but the best solution for all your needs.